Stainage opens it's dubplate vault again in 2011 to give you a delicious future garage treat. OTR002 features 3 tracks produced by Dusk Creator, Grimelock and Hush remixed by BunZer0. "After The Fire" and "Deliver Us" are flexing with class in future garage style while "I Feel" gets a half tempo mutation courtesy of BunZerO. The mood is shifting from dancefloor grooves and soulful bits to deep dense textures that have a cinematic feel and surgically clean production with an almost scary attention to detail. 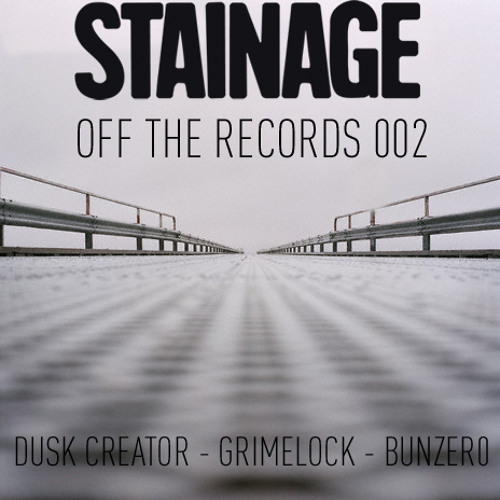 If OffTheRecords 002 is just a small taster of the forthcoming Stainage releases then be warned because it's looking like this is just the tip of the iceberg. quality tuna! always liking your stuff!